Get ready to let your creativity flow as you color beautiful illustrations of Gospel scenes and topics! In LDS Coloring Book you can color with crayons or tap to fill shapes. Zoom in and out. You can even choose to magically stay within the lines as you color! 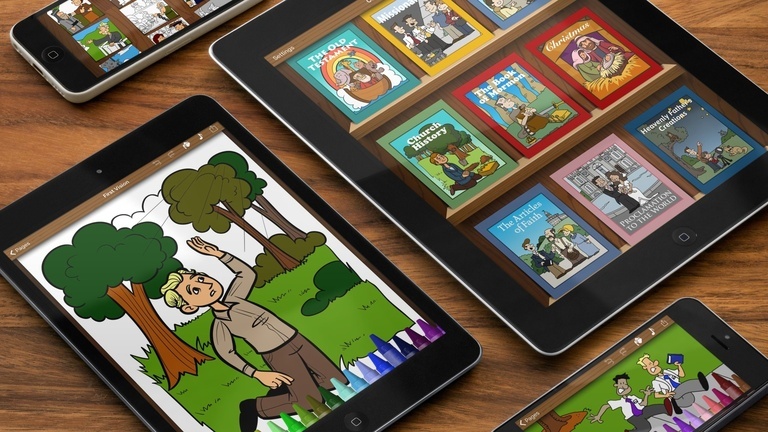 The free version of the app offers one coloring book as a gift. 16 additional coloring books are available for individual purchase, or you can upgrade to receive every coloring book! 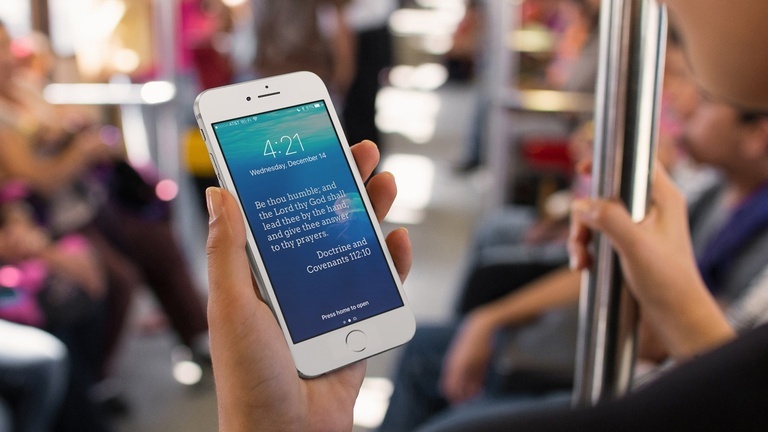 Choose a verse of scripture each week and put it on your lock screen where you will see it several times a day. 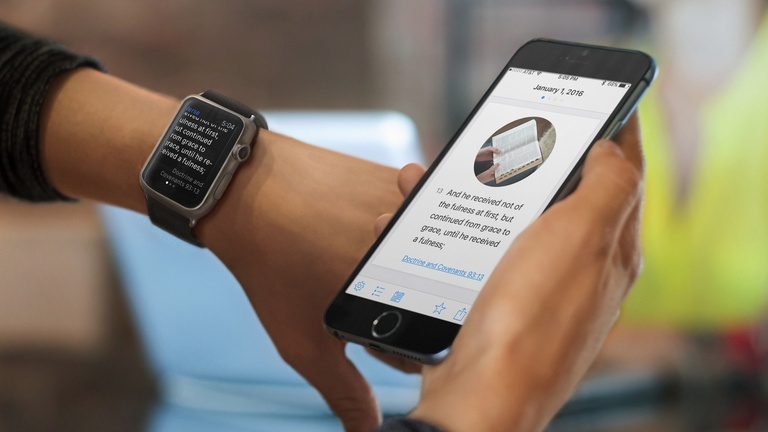 Get reminders throughout the day to ponderize, and a reminder each week to choose a new verse. Focus on the word of God, one word at a time! Take a fresh approach to the scriptures and develop a daily habit of studying without all the distractions. 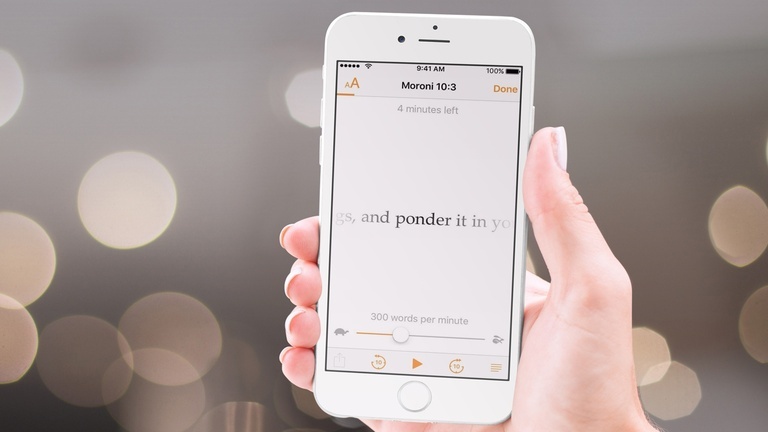 LDS Scripture Focus makes it easy to chart your reading progress, with reminders to help motivate you to engage in daily personal scripture study. 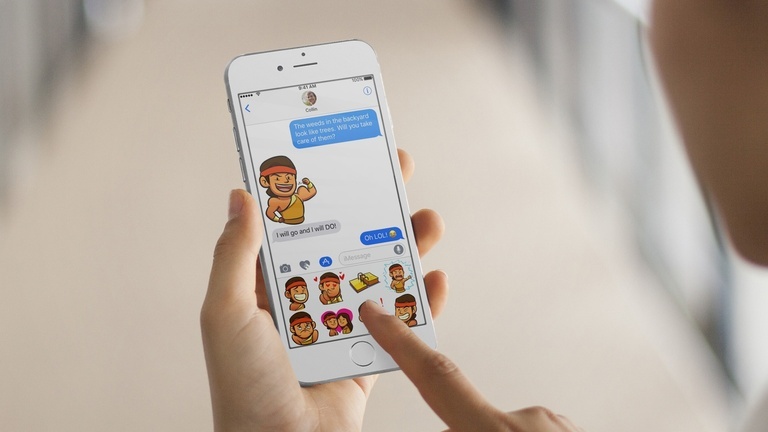 Express yourself and share your beliefs with custom stickers made specifically for iMessage. LDS Stickers provides over 120 beautiful stickers that depict families, temples, scripture stories, and more! From the Messages app simply tap to send stickers in a conversation, adjust their size, or place them on top of bubbles, other stickers, and photos. Your favorite scripture hero is now a sticker hero! 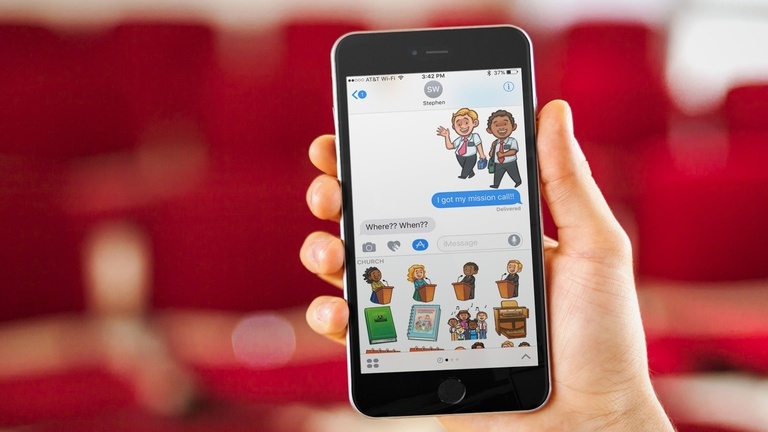 Brighten up your iMessage conversations with these fun and engaging Nephi stickers. They’re sure to bring smiles and laughter to your friends and family. Sing along to your favorite Church songs (or learn new ones) with LDS Sing-Along! Now you can get carried away with the bouncing ball that highlights the lyrics of Church songs in time with the music! 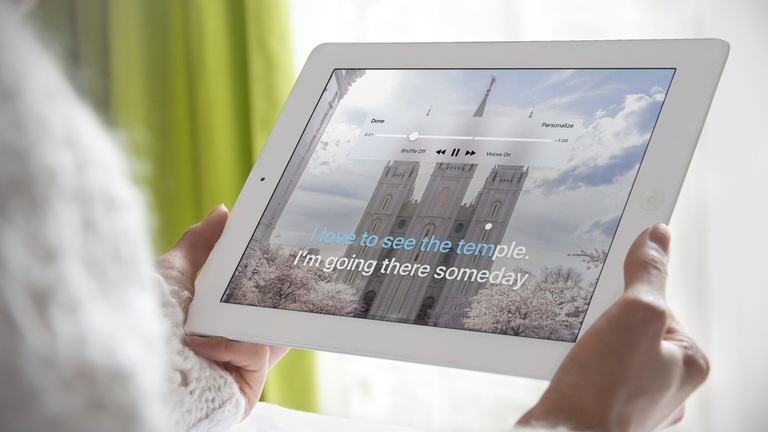 Featuring beautiful pictures and intuitive interface design, LDS Sing-Along is the perfect accompaniment to FHE, Church lessons, and scripture reading.